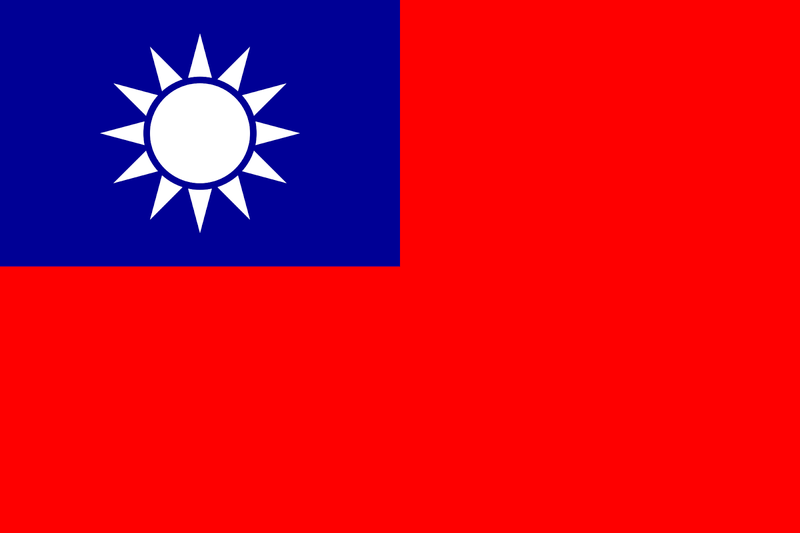 A referendum took place in Taiwan recently on a whole host of issues, with one of the key matters voted on was whether or not Taiwan will continue to play under the name Chinese Taipei or compete under the name Taiwan a move that would cause a stir in China. The result from this was that the Taiwan public voted hugely in favour of remaining under the name Chinese Taipei. In the buildup to the vote, a number of Taiwanese athletes spoke out publicly to encourage people to vote against the name change. The reason given for the athletes being against the name change is because they didn't want to risk not being allowed to enter, which would most likely happen once China got the word, and their knickers were twisted. It seemed a large majority of the population agreed as they voted overwhelmingly in favour of remaining as Chinese Taipei to ensure their athletes can still compete on an international stage. A lot of Taiwanese sports fans would love to see their country compete as Taiwan instead of Chinese Taipei, this can be seen during games such as the World Cup qualifiers when the Taiwan independence flag can often be seen flying around the stadium. The CTFA (Chinese Taipei Football Association) do all they can to try and put a stop to the flags being on show during World Cup matches because they often get fined for this. Although for such fines to be dished out to Taiwan however, there has to be a report made complaining about Taiwan, and we can have a guesstimate where that complaint will be coming into the AFC and FIFA from. FIFA claim that they don't get involved in politics but by telling a country they cannot use their own name to compete is already getting involved in politics. FIFA has been proven to love a bung though so the Taiwanese public is possibly right in voting to remain Chinese Taipei because China has the money, power and influence to keep them out if they wanted to compete as Taiwan. It's a tough situation for Taiwanese sports fans to be in because a lot of them would love to one day watch them compete as Taiwan, but at the same time, they don't want to see their athletes banned from competing completely. So most of the voters in the referendum took the safe option of the two in voting to remain as Chinese Taipei and showed their willingness to back the athlete's wishes. It would take a collective mass of huge balls to vote in favour of competing as Taiwan because a massive international fall out would come from the name change. You would see this especially once China spat the dummy from the pram as we have seen with other 'huge' events like Miss World, some university fashion show in America, the Gay Games, and blocking school kids from performing abroad. For now, Taiwanese people seem happy to compete as the non-existent place known as Chinese Taipei, which prompted a lot of internet folk to take the piss by saying they were Chinese Taoyuan, Chinese Pingtung, Chinese Hsinchu, and Chinese Tainan, etc etc. You get the idea. They may be happy enough now to compete as Chinese Taipei, but at some point in the future, they won't be as the old generation dies off and the younger generation feels more and more Taiwanese than Chinese. That day of reckoning will arrive for sure, it may be in the next 50 years, it may be longer but regardless what people think now there will be a fight at some point in time to be known as Taiwan at international sporting events.